It’s hard to make a list of the top and most influential Latinas in politics and government in America without naming Maria Teresa Kumar, a lady who thinks Latinos are the “new builders” and “makers” of America. As the President and CEO of Voto Latino, a civic media organization which takes pride in its agenda of transforming the USA by reckoning what it regards as “Latino’s Innate Leadership”, Teresa was able to see to the increase of Latino voters participation in battleground states during the 2008 presidential election. Beyond this, there is definitely more to who the woman is, let’s take a look at her biography while focusing on her husband and other interesting facts of her life. Although Maria Teresa Kumar now resides in Washington DC, she’s a native of Sonoma, California. While we are yet to precisely confirm her date of birth, there are reasons to believe she was born in 1974 in Bogota, Colombia. Maria spent most of her childhood days in California as it was where she was brought up by her parents – a Colombian mother and an American father in a bicultural home which massively influenced the woman she has become. Lady Kumar prides herself as a proud immigrant daughter. As the story goes, her father moved his family to the United States of America when she was only four; Maria and her mom got to become citizens of the country by naturalization five years later. Even as details of her upbringing are hard to come by, we can tell she got her earliest formal education from a Catholic school. Many years later (in 1992), Maria became a student of the University of California, Davis (UCDAVIS) where she eventually obtained a Bachelor of Arts degree in International Affairs, Economics in 1996. She moved on to Harvard Kennedy School in 1999 and obtained a Master of Public Policy (MPP) degree in Business and Technology from the Institution in 2001. Meanwhile, she served as a Senior Legislative Aide at the US House of Representatives after she graduated from UCDAVIS, this lasted from August 1997 to August 1999. When she was done with Kennedy School, she moved on to The Advisory Board Company where she worked as an Associate Director from January 2002 to January 2003. The next month (Febuary 2003), she became a Regional Director for LawMedia until November 2004 when she became the founding President and CEO of Voto Latino. That’s not all there is to know about Maria Teresa Kumar’s career. She is recognized on several quarters as a World Economic Forum Young Global Leader and many people probably got to know her from her media stint with MSNBC which earned her a nomination for the Emmy award. Kumar has been serving as a political commentator for the media outlet since 2009. Also, from January 2015 to February 2016, she hosted the establishment’s web show, Changing America on msnbc.com. Apart from the Emmy nomination she got, Maria’s career accomplishments have brought her a good number of other prestigious accolades and recognitions over the years. Just as she is a recipient of the Legacy Award and the Transforming America Award, you will find Maria named in a handful of coveted lists like 20 most influential Latinos under 40, Ten most influential women in America, 100 most influential Hispanics in Business, and much more. 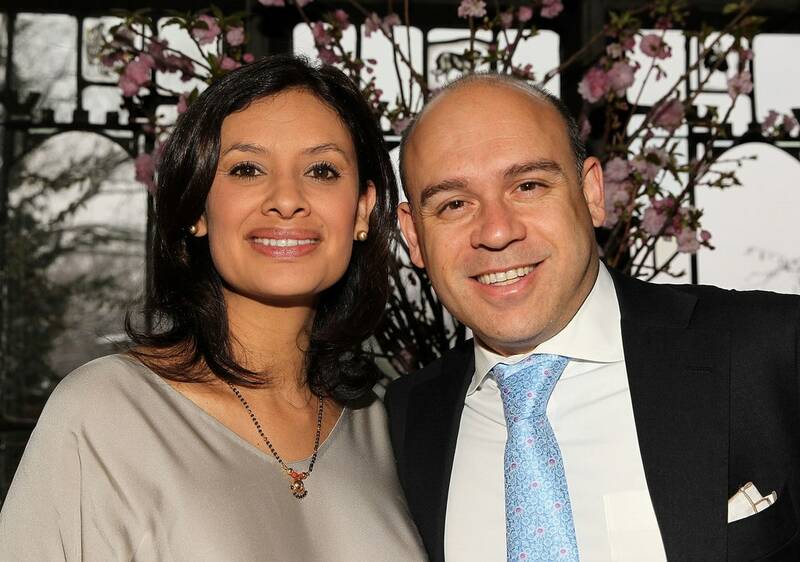 It is no secret that the Voto Latino founding President and CEO has been a wife to Raj Kumar – the Co-founder and President of Devex, an outlet often described as a media platform for the global development community. The man has been associated with various establishments and is considered an expert in Foreign Aid Policy. He graduated from Georgetown University School of Foreign Service and equally attended Harvard Kennedy School like his wife. Albeit the New Jersey native now lives in Washington, DC with his wife, it is said that he spent part of his childhood in Kerala, India and, that his work has taken him to 50 countries. Maria Teresa Kumar and her husband welcomed their first child in 2012 and named her Lucia Mercedes Kumar. The second, Eduardo came a few years later. 1. Maria is a polyglot career woman, she’s fluent in English, French, and Spanish. 2. She’s hopeful that Voto Latino would play a strong role towards the emergence of the first Latino president of the United States. 3. She has been linked to many organizations including Planned Parenthood Federation of America, Council on Foreign Relations, Aspen Institute Task Force on Learning and the Internet, Emily’s List, and more.